The case, challenging the state’s 2007 unsafe handgun modification requirements, pitted the National Shooting Sports Foundation and the Sporting Arms and Ammunition Manufacturers’ Institute against California Attorney General Xavier Becerra. 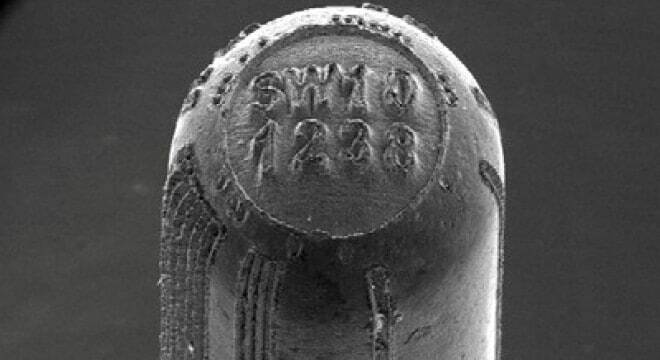 The gun groups argued the requirement for semi-auto handguns to mark cartridges with a microscopic array of characters, that identify the make, model and serial number of the pistol upon firing is “impossible to accomplish” and has only worked to artificially limit choices available to California gun buyers. The court, in a 19-page ruling, said that the law is the law, regardless of what was or wasn’t possible. The suit was originally brought by the trade groups in 2014, arguing that the technology was unproven in actual field conditions and easy for criminals to defeat. California Superior Court Judge Donald Black dismissed the case in 2015, citing the state had sovereign immunity while arguing the gun groups lacked standing to sue. On a subsequent appeal to the California 5th Appellate District, a three-judge panel later held that NSSF and SAAMI have “a right to present evidence to prove their claim” and the state Supreme Court voted last year to hear the case. At stake is the ability to purchase newly manufactured semi-auto handguns in the state. In 2014, just after the California Department of Justice began enforcing the mandate that new pistols submitted for approval to the state’s firearm roster incorporate microstamping capabilities, there were over 1,200 approved models. That roster has since constricted to 807 as legacy handguns drop off and new models cannot meet the requirement. For instance, no Generation 4 or 5 Glocks have been approved for sale in California — although they can be sold to police. For handgun giant Ruger, the company only had one model on the list other than revolvers, which are exempt from the microstamping requirement. Larry Keane, NSSF’s general counsel, told Guns.com on Thursday that the group disagrees with the ruling. “It is undisputed that it is impossible to comply with the requirements of California’s microstamping law given the current state of microstamping technology,” he said, going on to explain that the trade group’s lawsuit did not seek to invalidate the law altogether but simply to halt it until the technology could catch up to the mandate. A concurrent challenge to the handgun roster was filed in 2009 in federal court and is currently with the 9th U.S. Circuit.